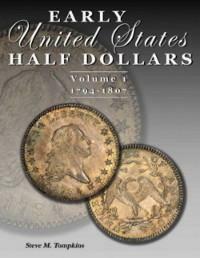 11/28/2017: Big update with many appearances from tough marriages in the upcoming FUN sale at Heritage. This includes several very rare varieties as well as appearances from marriages on my toughest "common" list. 03/31/2017 Have been looking at the 1829 O-113 and have revised the appearances over the last 10 years. This die marriage appears to be very rare and not the R2 that has been published. There are now only 2 problem free AU examples that have appeared on the market last 10 years. There haven't been any Mint State examples on the market since 2004, and that was an MS65. In fact, there is only a single MS 65 (O-113a) and a single Prooflike Specimen MS62 (O-113) that I can find in records, and no other Mint State examples. 03/20/2017 Hearty congrats to Chuck for completing a set of every Capped Bust Half Dollar die marriage!!!!! 03/28/2017 An extremely rare and possibly finest known 1794 O-107 is making an appearance at Heritage. It is housed in an NGC XF45 holder and was not documented in the new Steve Tomkins book. New images courtessy of Mark Borckardt over at Heritage auctions. 12/28/2016 Downey's MBS 44 is live with many scarce and rare varieties making appearances! In addition, an amazing collection of Bust Halves is being auctioned in Anaheim by Heritage, with a huge number of old holdered Busties, many sporting even Gold CAC stickers. There almost was one more thing to report as a rumor of a new Die Marriage circulated briefly, but since has been quelled, at least for the time being. Congrats to the BHNC member who completed the entire set of 454 die marriages!!! 05/14/2016 Exciting discovery! A third 1829 O-120 has been found by the BHNC! Great finds come to those that look! 04/20/2016 The fourth installment of the Pogue collection will be sold at Stack's-Bowers in May. Though there aren't any LECBH's in the collection, there are reeded edge CBH's being offered for sale. 04/20/2016 The very old collection of Bust Halves from Rev Dr James G K McClure (1848-1932) is being auctioned by Heritage at the upcoming June Long Beach sale. The coins in this collection apparently have been out of circulation for a very long time and vary in grade from XF-MS for the Capped Bust coins, and in lower grades for Pre-Turbs. All graded by NGC. Very interesting opportunity! 02/10/2016 The Pogue/former Eliasberg 1827 O-121 PCGS Proof 67 sells for a whopping $258,500.00 to land on the top grossing CBH list! Downey's Mail Bid Sale # 42 is on line with many beautiful selections!!! The Pogue 1817/4 O-102 VF35 sells for $282,000!!!! The Pogue 1807 O-114 MS66 sells for $258,500!!! The Pogue 1822 O-103 proof 65+ cameo sells for $211,500!!!! All are near the top of my highest grossing CBH's ever!!! The Pogue collection part 2 is now up for auction at Stack's-Bowers! Many top pop Overton varieties, a 17/4, as well as a couple of proofs that needed to be added to my proof roster. The appropriate pages have been updated reflecting these auction appearances. I must add that many of these Capped Bust Halves that had made relatively recent appearances have had their holder and/or grade changed, this has also been noted on the appropriate pages. Mail Bid Sale No.42 is already coming together. It will close during the FUN Show in Tampa this coming January. I am accepting consignments now and will continue to do so through the first week of November, when I will attend the Whitman Show in Baltimore. Please call or email to discuss the inclusion of your coins in this sale.